Lovely apartment, brilliant staff from booking and a great apartment! 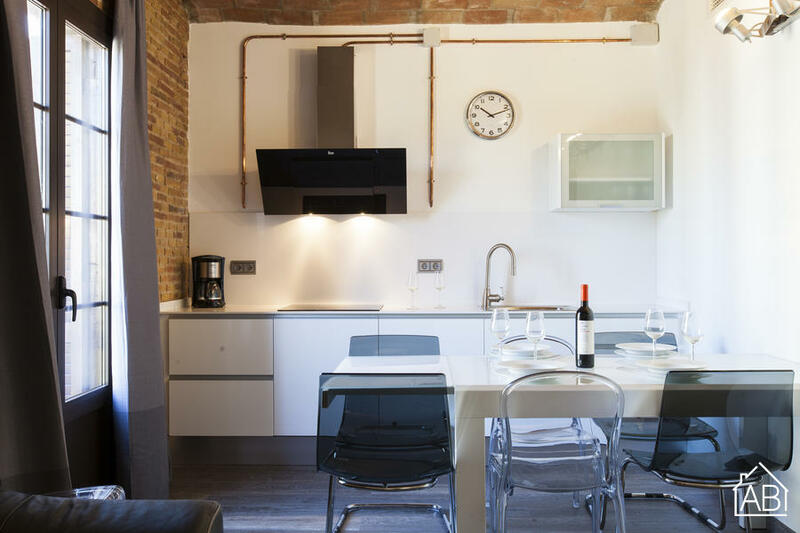 This fantastic central apartment in Barcelona is ideal for large groups and families. It is located in Poble Sec, a popular and trendy area of the city. You’ll find it just five minutes away from Las Ramblas and the Port, and only 10 minutes from Montjuïc, the Fira de Barcelona conference center and Plaça Espanya. It is very easily connected to the rest of the sights in the city, with a metro station and a bus stop located just outside the building. From here you can reach Plaça Catalunya and Passeig de Gràcia in just 5 minutes, and by bus you will have access to the beach in 5 minutes, too. There are also plenty of restaurants, bars, cafés and supermarkets nearby, as well as some popular theaters and clubs. The apartment itself has been fully renovated. It has modern furnishings and fittings, a video entryphone, and guests can access the apartment via a card-reading system. It has 6 bedrooms with 9 single beds distributed throughout, as well as one double sofa bed, allowing up to 9 people to stay here. Every bedroom has its own satellite TV with over 900 international channels, which can be controlled independently per bedroom. The apartment comes with a state-of-the-art independent air-conditioning and heater system in each bedroom and the living room, so that everyone will can adjust the temperature of their room to suit their preferences. What´s more, the apartment has two balconies where you can enjoy your morning coffee overlooking the famous Paral.lel street. The kitchen has all of the utensils and appliances you need to prepare your own home-cooked meals. There is also a dishwasher and washing machine for your convenience. Thanks to its perfect location and excellent amenities, this apartment is ideal for visitors to Barcelona, especially if you are coming to the city in a large group.